Oliver “Tuku” Mtukudzi (with guitar) of Zimbabwe, one of Africa’s greatest musicians, died of diabetes on Wednesday, January 23, 2019. 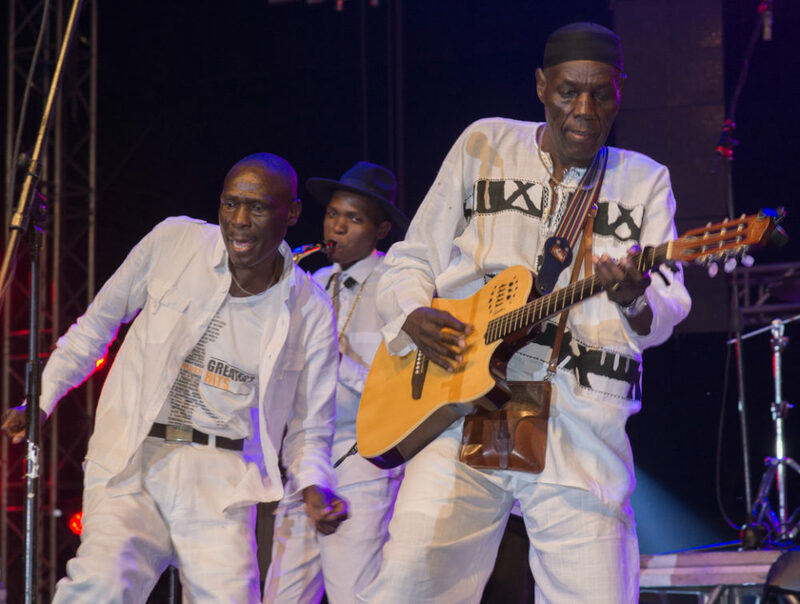 Born in 1952, Tuku grew up in the crowded Highfield township of Harare during the final decades of Rhodesian rule. He was a contemporary of Thomas Mapfumo, and both came of age during the brutal independence struggle of the 1970s, as Zimbabweans fought hard for liberation from the oppressive, racist Rhodesian regime. The two singers briefly worked together in a band called Wagon Wheels, and spent the next four decades as champions of roots music, particularly drawing on the musical traditions of the Shona people. Mtukudzi’s distinctive blend of traditional rhythms—mbira, jerusarema, muchongoya and many others—with elements of South African mbaqanga, American gospel, soul and more, became universally recognized as “tuku music.” His lyrics were full of sage advice on good living—honesty, compassion for others, avoiding the scourges of alcohol and drug abuse and the maladies that accompany them. But he delivered these messages in a gentle, fatherly way. He exemplified the very qualities he celebrated.